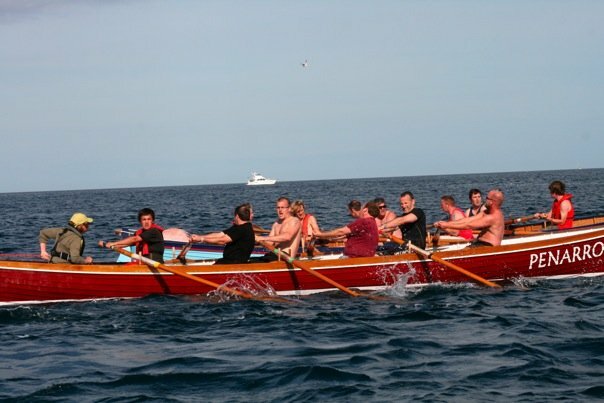 Cadgwith certainly provides a dramatic location and backdrop for gig racing. Towering rocks, fast tides and a shingle beach add to the many things the organisers and crews need to think about. Flushing & Mylor were well represented this year with Mens Vets, Mens A & B, and Ladies A & B crews. A strong start from Mens Vets in the first race of the day saw them pushing well up the first leg holding 2nd or 3rd place towards the mark. However a crew member started to not feel quite right and the crew sensibly decided to pull out of the race. 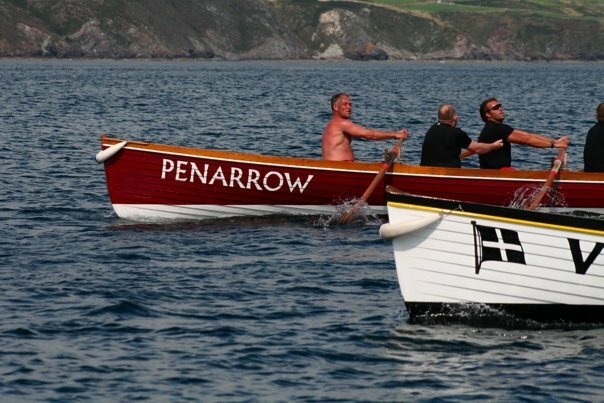 Mens-A in Penarrow focused together well had an excellent race coming second to Falmouth after a very hard fought race with Padstow’s Vixen. 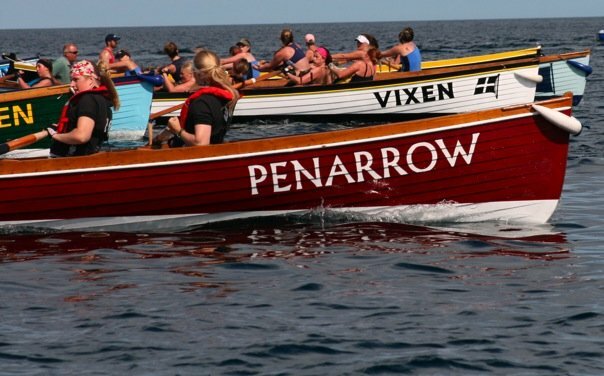 Padstow defended their inside line on the course well and it was only in the last 10 strokes that Penarrow was able to nudge ahead. Ladies-A dug in hard on the first leg with a great start but the inshore berth, although out of the tide for the first leg, means that you have to get ahead of many other boats by the first mark. A good row overall and with two young bow rowers to take 8th place. Mens-B 7th and Ladies-B an excellent 4th rounded off this top afternoon.